A state of emergency declared Tuesday morning by the City of Courtenay continued Wednesday due to flooding that caused road closures in various low-lying areas, including the Fifth Street Bridge. 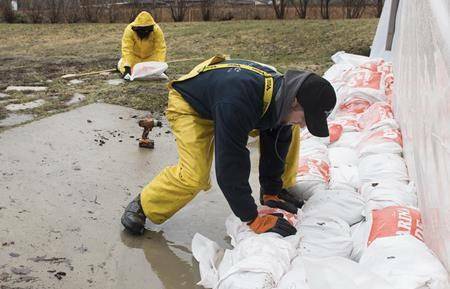 Emergency Management BC and BC Hydro expected the flood risk to continue into Thursday. “It (state of emergency) basically gives emergency personnel extra power to close roads off at random, and it gives us the authority to evacuate people if we feel it is necessary,” Mayor Larry Jangula said. The city has opened its emergency operations centre at City Hall. Some residents at Maple Pool Campground were evacuated Tuesday due to flooding at the low end of the site off Headquarters Road. Of 51 Maple Pool residents who registered with Emergency Support Services, 45 were provided lodging at a hotel. BC Hydro says the Puntledge River watershed has been hammered by heavy rain and subsequent runoff into the reservoir and downstream rivers. On Monday, 100 millimetres of rain fell above the Comox Lake reservoir. On Tuesday from midnight to 10:30 a.m., 94 mms of rain had fallen. The Tsolum and Browns rivers reached historic flood records. According to BC Hydro, the latest floods could eclipse those from 2009 and 2010, depending on weather and other climatic conditions. As of noon Tuesday, the reservoir had risen about 1.5 metres. The Tsolum hit a record high in terms of flow at 282 cubic metres per second but was starting to recede Tuesday afternoon. The bridge has been closed in the interest of public safety. Roadways have been closed at Comox Road from the Highway 19A bypass to Headquarters, Old Island Highway from Comox to Headquarters, Dove Creek Road at the Dove Creek Bridge, and Puntledge and Tsolum roads. Flooding also forced temporary closures Tuesday and Wednesday at the Lewis Centre and The LINC Youth Centre. The Courtenay Riverway/Airpark walkway and a portion of the Rotary Riverside Trail have been closed, the latter since late-November due to a slope failure. There were a number of power outages Wednesday throughout the Valley. For updates, check www.courtenay.ca, and the city’s Facebook and Twitter channels. Also visit the Record’s website for updates.